Everyone should watch the video clip below. Just over half a million people already have, but ‘everyone’ is over 14 thousand times more people than that. Even the world’s piloting community is a more than 500,000 people strong, and they should definitely all watch it. Besides, I’ve watched it three times already so two people are missing out right there. In July 2017, British Airways Captain Mark Levy had amassed more than 21,000 hours of flying experience over 30 years, with time on most heavies in the B.A. 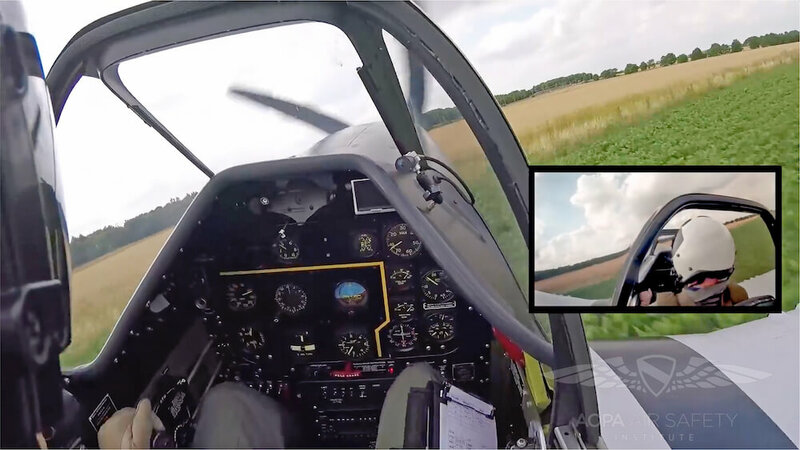 fleet and years as a Yak 50 display pilot. To further the dream, he’d had put himself through P-51 conversion training at Stallion 51 in Florida and, wth 9 hours on Mustangs, was asked by Anglia Aircraft Restorations to fly their TF-51 conversion 44-84847 Miss Velma (’44-14561’) for that summer’s Flying Legends Airshow 2017 at Duxford, Cambridgeshire. In a true nightmare scenario, Mark experienced an engine failure just after the massed fighter ‘Balbo’ flypast alongside 20 other fighters. From downwind, he nursed his 3.5 ton glider achingly close to a landing back on Duxford’s runway, before turning into a nearby wheat field at the last moment. More details after the video. 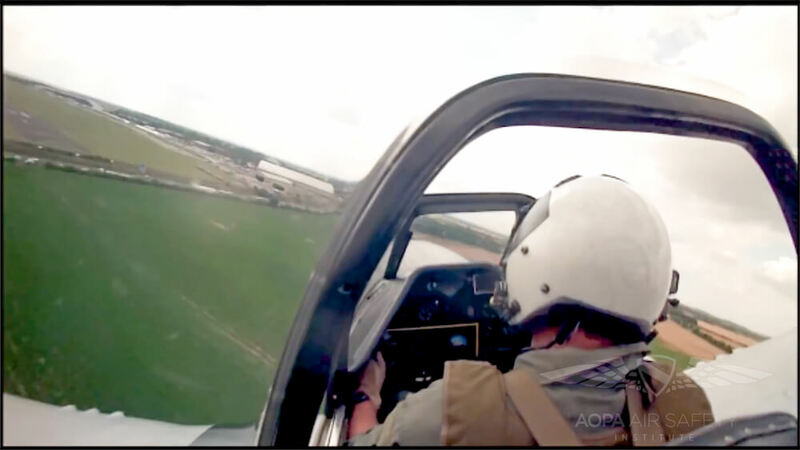 But the value of this clip isn’t the helmet- and canopy-cam footage of the incident itself – it’s the detailed follow-up analysis, presented as a half-hour conversation between Levy and Richard McSpadden, Executive Director of the AOPA Air Safety Institute. It’s a superb example fo the valuable content that the Air Safety Institute creates and freely distributes for the benefit of all pilots. Use the link above to learn more or, at the very least, make sure you explore the rest of their YouTube channel. Mark Levy’s candid post-analysis of what happened and how he responded is incredibly enlightening. He runs through the chain of events from his perspective, explaining the decisions he made and honestly appraising them with the full coolness of hindsight. He’s uncompromising about his mistakes and omissions, and the lessons he learned from them. It renders us fortunate enough to learn them for free! But if he feels his ‘perfect crash’ was only ‘good enough’, that’s nothing but a reflection on his extraordinary professionalism. We should aim so high. Ever so rarely, ‘good enough’ is exactly what it claims to be. In the same way, Mark Levy had three decades of flying experience ready and waiting when the unthinkable finally happened to him. He used the siren song of a recovering engine to his full advantage, without being seduced by it. To my mind, his last minute decision to turn away from the runway was little short of heroic. It must have been a split-second, now-or-never decision. With the spectre of the 2015 Shoreham Airshow disaster no doubt haunting him Levy realised he wasn’t going to make the strip, identified an empty field and turned to it, started raising the landing gear, selected 30º of flap, levelled the wings and bellied into the wheat at about 120 mph – all in a matter of a seconds. Just five seconds later, the aircraft had slammed to a halt. And if you think this is all just the ice-cool actions of a super-experienced pilot, watch Mark cranking on the canopy handle when the Mustang stops. 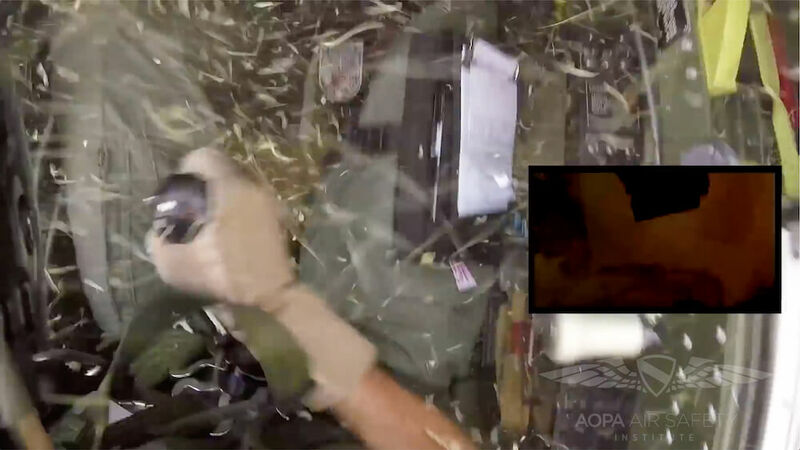 The canopy had broken away on impact, letting the cockpit fill with dust and plant debris as the aircraft slid across the ground. And yet, automatically, he still tries to open it. It’s final proof that no-one really rises to the occasion in a crisis – they simply fall back on their training. In case you’re unfamiliar with the events in the clip, they date from Sunday July 9th, 2017, during the closing act of Flying Legends 2016 at around 15.20. Mark was flying Miss Velma as Number 9 in the lead element of the weekend’s 21-fighter ‘Balbo’ grand finale. The large formation had made three passes along the show line and was separating into three-ship elements on crosswind, after about 25 minutes in the air. 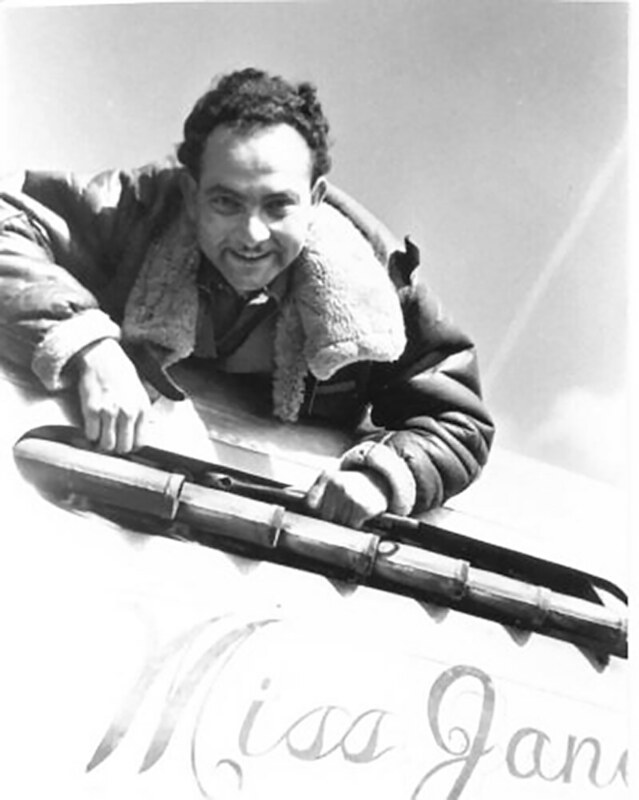 As Levy’s group of three aircraft climbed to 1,000 feet and entered their downwind leg, he checked the engine parameters and switched to the right wing tank. When he added more power the engine stopped, then restarted and ran for a few seconds before stopping again. Mark was already moving away from the other aircraft as he made a Pan-Pan call and started preparing for an emergency landing. Intermittent power surges let him continue downwind and maintain some of his altitude. 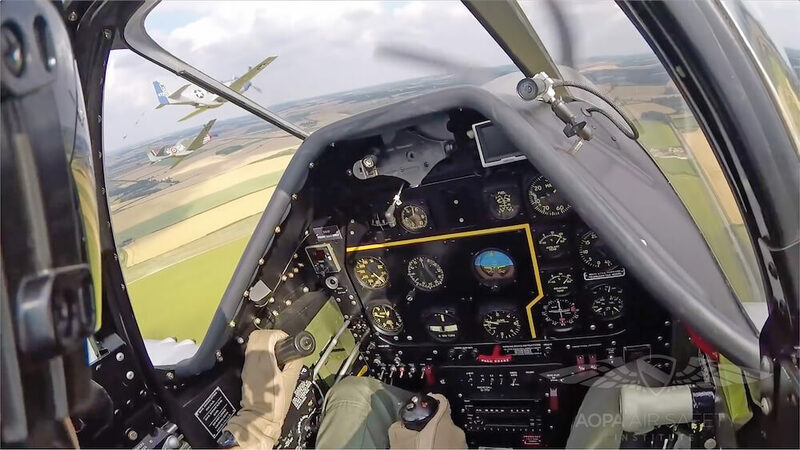 When he switched back to the left wing tank and selected auto-lean mixture the engine ran for a further 10 to 15 seconds, buying him precious time and altitude. Still, he was only at about 500 feet when he began a tight base turn to land on the runway, selecting 20º of flap and lowering the landing gear as he did so. Immediately, he could tell that he was sinking too fast to make the runway and elected to turn away to an open field instead. The Air Accidents Investigation Branch attributed the power loss to carburettor failure. The Mustang itself, msn 124-44703, was built as P-51D-10-NA #44-84847 by North American Aviation’s Dallas plant right at the end of World War II. It didn’t see active service in WW2 but is believed to have served in the Korean conflict with the 45th Tactical Reconnaissance Squadron, 67th TRW, based at Kimpo. By 1952 she was back in the US with the Air National Guard, although I can’t find which State. The record goes dark from 1956 although the usual tale of ANG transition to jets, Mustang disposal, and boneyard storage or gate guardian duties seems likely. The aircraft next appears in January 1999 as a restoration project with Odegaard Aviation of Kindred, North Dakota. Registered as N251RJ, she was subsequently sold to Duxford’s The Fighter Collection and moved to Chino, California to complete her restoration and conversion to TF-51 configuration. Steve Hinton took the restored fighter up for her first flights in May 2007. 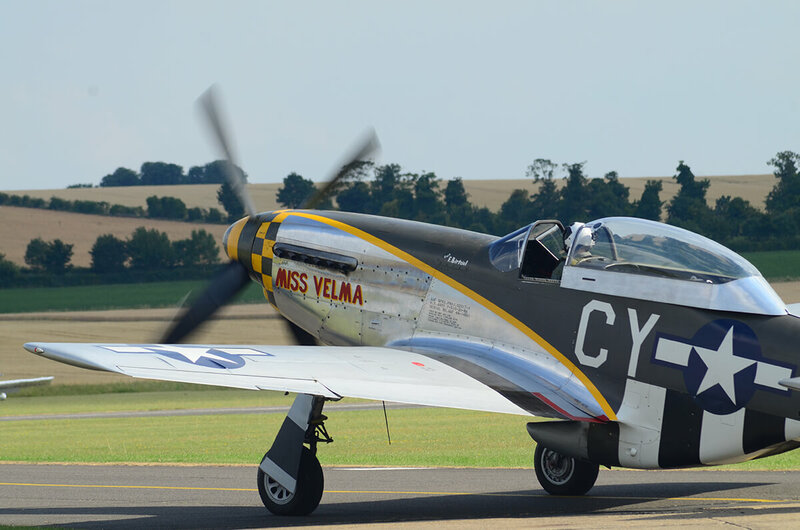 The original Miss Velma was P-51D-10-NA number 44-14561 (msn 109-28193 ), one of the many huge 800-aircraft ‘blocks’ built by NAA at Inglewood, California. After Birtciel completed his first tour, 44-14561 somehow ended up with the 375th FS, 361st FG operating from Little Walden (known as Hadstock at the time) just southeast of Duxford. On October 1st, 1944, the aircraft was destroyed in a crash about 1 mile northeast of Manea in Cambridgeshire. The cause of the accident isn’t known, but the pilot bailed out safely. Incidentally, there were two other Miss Velmas. 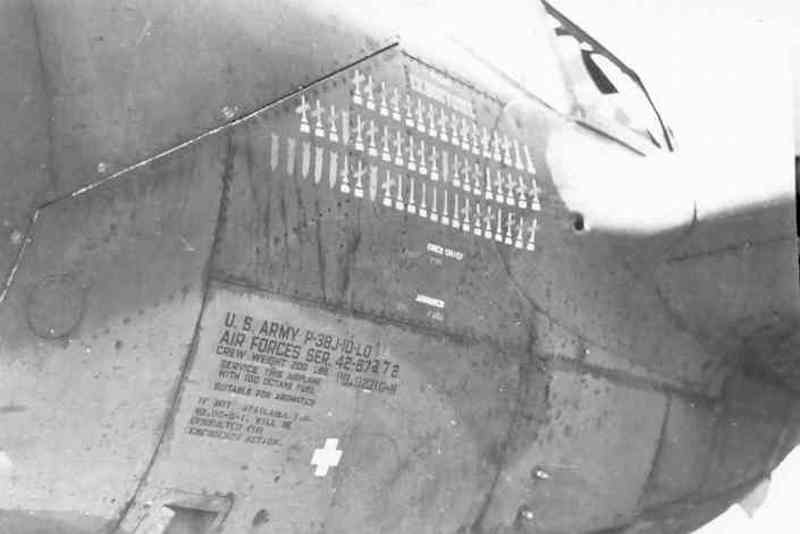 Mission markings on the nose of Frank Birtciel’s original ‘Miss Velma’, P-38J #42-67872. 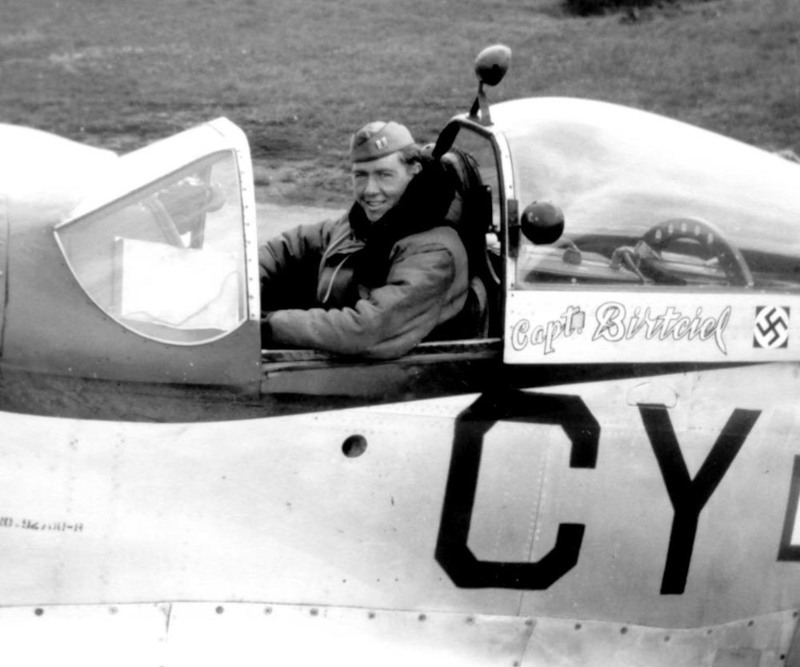 The first was Birtciel’s P-38J ‘CY-D’, 42-67872, which he flew for his first tour with the 343rd. S/Sgt. Fow was Crew Chief for this aircraft as well. 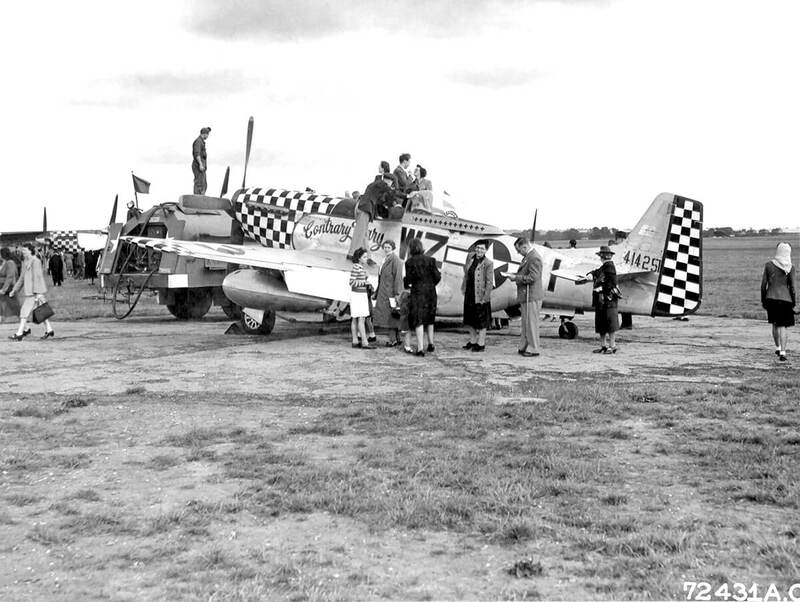 Then, when Capt Birtciel returned for his second tour, he was assigned 44-13350, a P-51D-5-NA. With Sgt. John T Grodoski as his Crew Chief, he named the new Mustang after his girl as well. 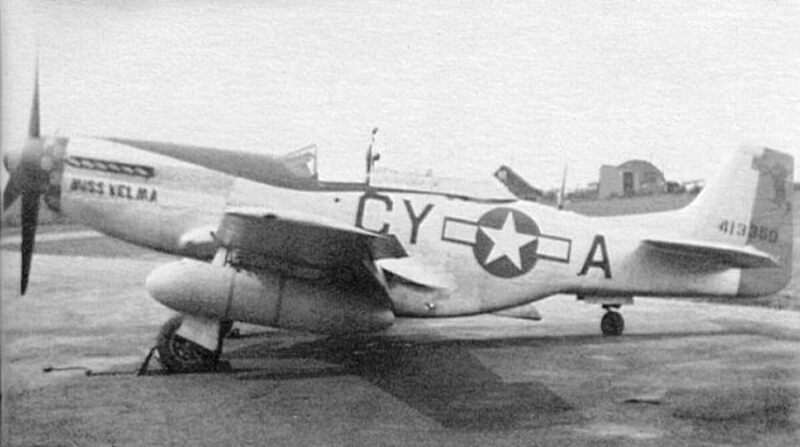 Coded CY-A, it was later reassigned to Lt. Raymond ‘Griff’ Allen, also of the 343rd FS, who re-named it Merrimack. 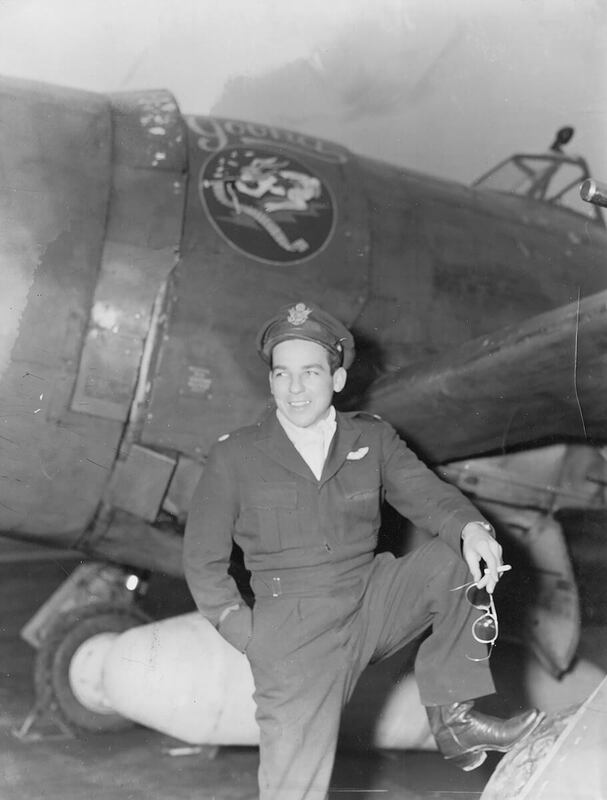 Frank Birtciel was no top-scoring ace by 8th Air Force standards, but he served his country well. 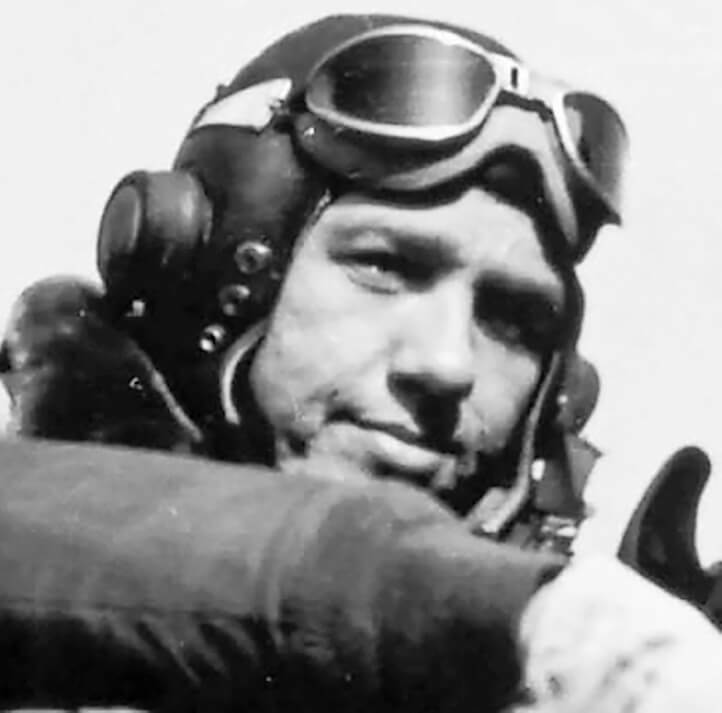 Over the course of over two tours and 121 combat sorties, he achieved 1.5 air victories, plus five aircraft destroyed and one damaged on the ground. He also claimed a Me.262 jet destroyed in air-to-air combat on February 25th, 1945. Even though the victory was confirmed in writing by the 343rd’s Intelligence Officer Halsey Carey, the claim was never officially recognised. On the mission of March 22nd (1945) we were escorting the first box of B-24s which was bombing Schwabisch-Hall A/D. I was leading Tudor Red flight. Just after bombs away we were bounced by 1 Me 262 without damage. 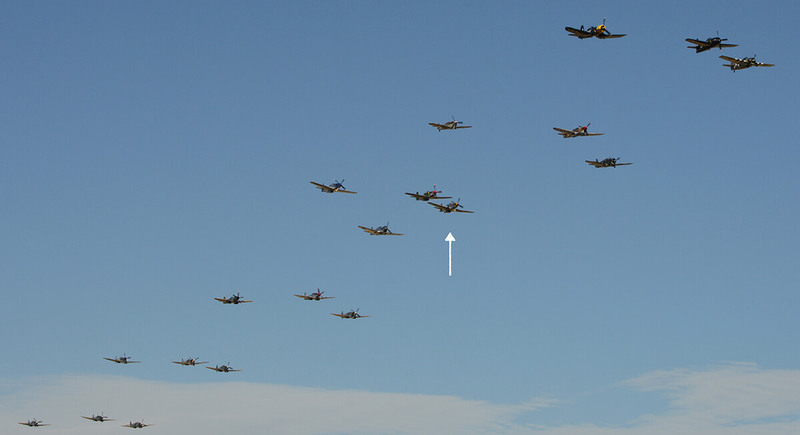 Looking back at the bombers, I saw a single 262 making a pass out of the sun from above at 8 o’clock to the bombers. I broke left towards him, following him to the right as he went on straight and level. The 262 pulled out from underneath the Big Friends and headed out ahead of them at about 17,000 feet. This put the 262 and I almost head on. I was coming in about 45 degrees to him head on and started tracking and shooting. I followed him past 90 degrees then pulled in dead astern. Due to his superior speed, he pulled away from me in a matter of seconds. However, I kept firing until he was well out of range. I estimate that my closest range was about 300 yards. I observed a few strikes on the 262 around the tail and saw a small piece fly off. I claim this Me 262 as damaged. Ammunition expended – 930 rounds. On April 3, 1945, during his second tour, Birtciel was flying Major Edward B. Giller’s The Millie G (P-51D 44-15701, CY-G) when the engine seized over Bruges, Belgium. He bailed out safely and returned to Wormingford after three days. 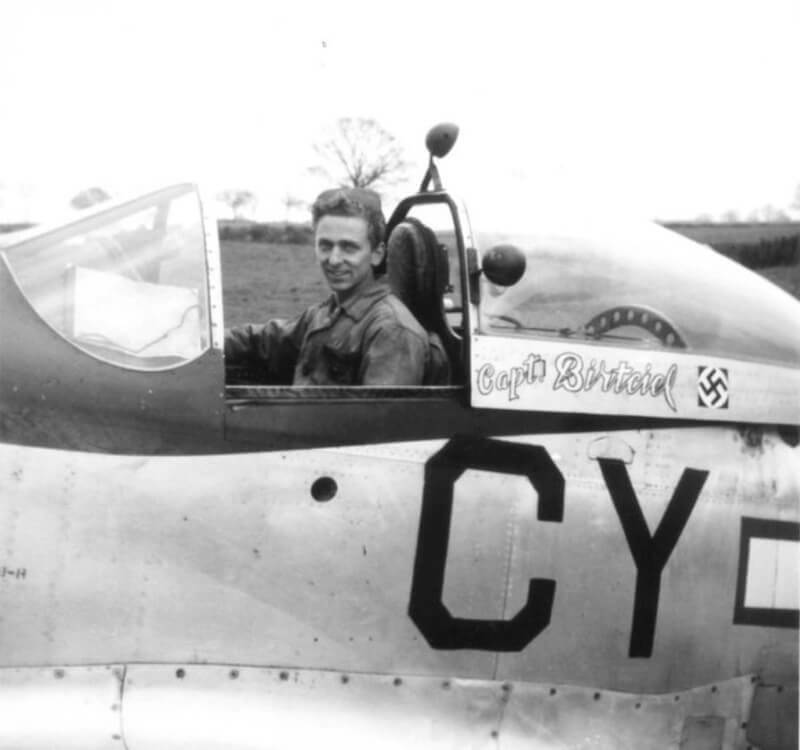 A confident, two tour pilot, Frank Birtciel in the cockpit of the third ‘Miss Velma’, P-51D-5-NA #44-13350 ‘CY-A’. Three days after that, on April 9th, Birtciel got even by destroying five Luftwaffe aircraft – 2 x Heinkel He-111, 2 x Junkers Ju-88; and 1 x Me-109 – plus another Ju-88 damaged, at Brunnthal southeast of Cologne. By the time he headed home, he had expended 1,660 rounds (of 1,880) into the parked aircraft and only his two inner guns were still firing. You can read his combat report here. Birtciel completed his second tour on April 17th. Post-war, he returned to the Air Force in 1951 as an instructor at Vance AFB, Oklahama. From there he was posted to Germany in 1955 where he helped train pilots for the new West German Luftwaffe. He returned to the US in 1959, flying B-47s and then B-52s, eventually retiring as a Lt. Colonel in 1969. Frank Emerson Birtciel passed away in Scottsdale, Arizona, on October 21st, 2015. He was 92 years old, and still married to his ‘Miss Velma’. 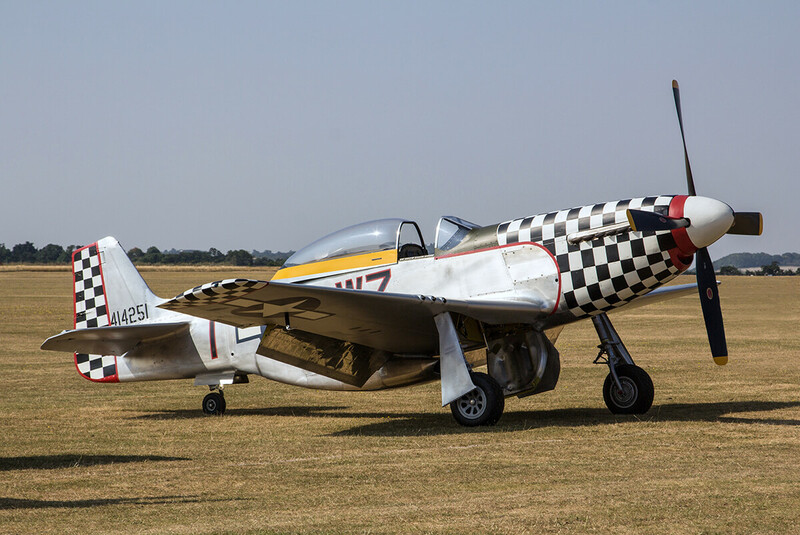 Although Mark Levy had set the aircraft down safely in July 2017, there is no such thing as minor damage to a Mustang. Miss Velma‘s wings were extensively damaged by the partially retracted undercarriage; the left-hand flap was torn off; the canopy smashed; and, obviously, the lower half of the fuselage, radiator scoop and doghouse were obliterated. The wreckage was recovered to Duxford and sent to the US for repair by Fighter Rebuilders at Chino, California. A completely new wing, already restored by Idaho’s Pacific Fighters for another project, was redirected to 44-84847. Meanwhile, the rest of the aircraft was fairly comprehensively disassembled, checked and rebuilt. 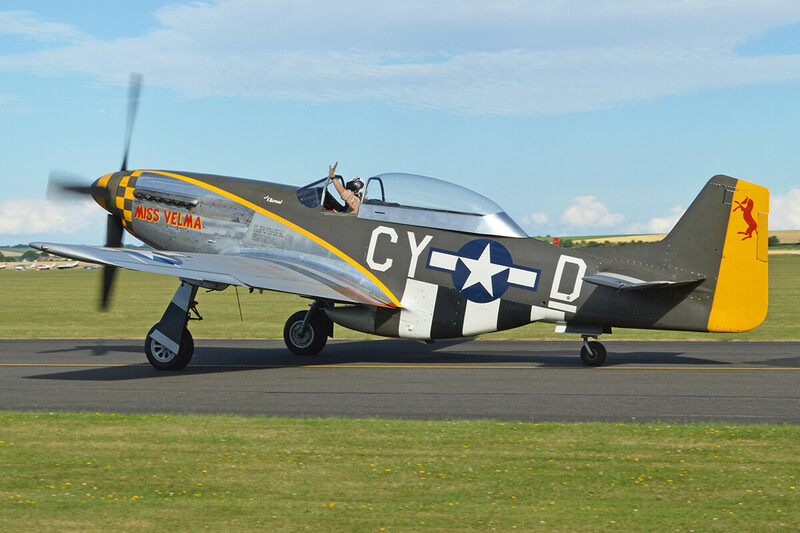 Almost incredibly, the restored Mustang was back in the UK by June 2018, in time to appear at Flying Legends 2018. Mark Levy was back at the show too, flying G-TFSI’s stablemate – 1939 Hawker Hurricane P2902. 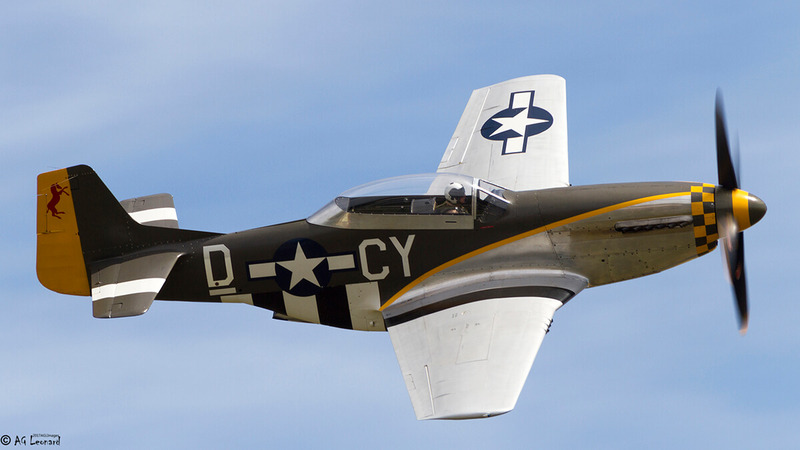 As part of the rebuild, 44-84847 was given a new identity – that of #44-14251 Contrary Mary, originally a P-51D-10-NA (msn 109-27880) ‘WZ-I’, flown by Lt.Col. Roy Blair Caviness. This aircraft was officially assigned to the 84th Fighter Squadron, 78th FG, fittingly based at Duxford and known as The Duxford Eagles. 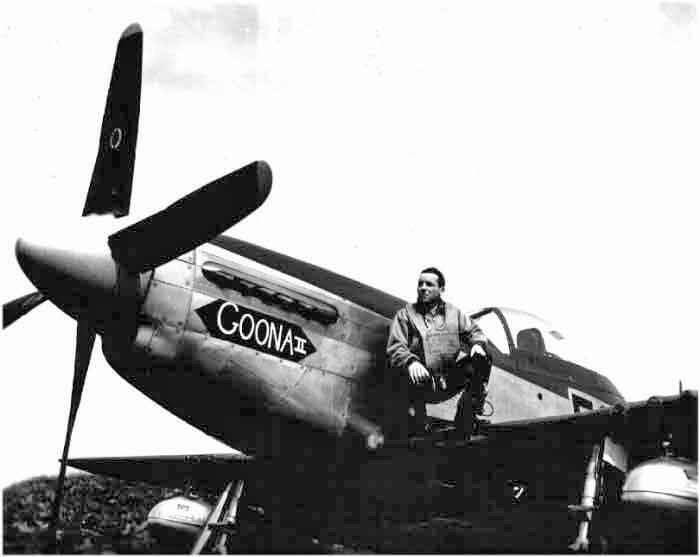 However Caviness himself was part of the Headquarters Squadron, and brought the P-51 with him as his personal Mustang when he was transferred from Command of the 361st FG to take over as Group Commander of the 78th from 1 July 1945. 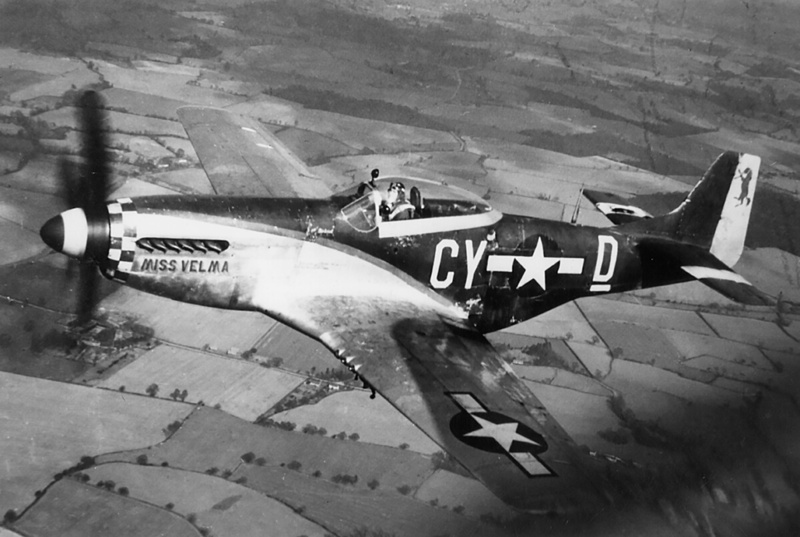 Before achieving Group Command, Caviness had scored 14 victories flying P-47s with the 376th Fighter Squadron, 361st FG. There, both his ‘personal’ P-47 and then 44-14251 had worn the name Goona or Goona II and the squadron codes E9-C. Originally from Oil City, Louisiana, Caviness went on to serve as a full Colonel in Korea where he added the Korean Service Medal and United Nations Service Medal to his Air Medal with 13 oak leaf clusters, Air Medal with 2 oak leaf clusters, and Distinguished Flying Cross with 1 oak leaf cluster. And yet, I can find (online) absolutely no account of his service after Duxford. Roy Caviness died on January 23rd, 1995 aged 76, and is buried in Houston, TX. Contrary Mary makes a fitting memorial. The camera certainly gives one a feeling of being in a crash, but never having been in one, I’m sure it was much worse for the pilot! I’ve been lucky in that regard too… From what I’ve read the noise is indescribable, but the footage certainly brings home the sense of total chaos. And that was a fairly smooth belly landing! Great read. Makes one think of Sully Sullenberger’s decision making when he chose to land on the Hudson River. Happy New Year Nick. That’s an astute connection. I guess every great ‘save’ starts with some great decision making. In the video, Mark Levy talks about ‘putting the monkey back in the cage’ – ie getting natural panic under control – as the first order of business. Do you guys (at FTA) teach that as well? The key here seems to be keeping your cool in what must be a very scary situation. His skill and training shone through. Absolutely. As I mentioned to Nick Meikle, Levy’s training for ‘keeping the monkey in its cage’ was probably a life-saver. Training, training, training, prepare, prepare, prepare. 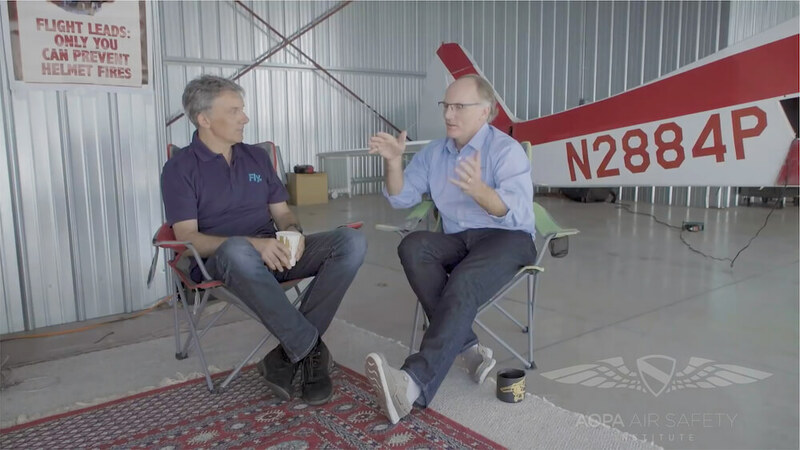 Like the Navy guy and his 18-year old decision, have a basic plan of action already mapped out for every ‘what if’ situation…and not just in flying: driving, skiing, boating and life in general. It saves time if you are driving decisions already made years before. Then all you need is that little pinch of lucky dust in the mix and you can walk away from the wreckage. Well said, Bob! And that’s exactly why I think everybody should watch the clip. Being prepared leaves more brain space free for dealing with emergency decisions instead of basic operating tasks. That said, a pinch of lucky dust never goes astray either. On a motorcycle course I did back in 1980, our instructors were all serving Police riders. They taught us to use “AELA”; Analyse, Evaluate, Learn and Apply. Watching the post-crash video reminded me very much of that! Add in “putting the Chimpanzee back in the cage” and how the phenomenon of “Task Saturation” means the first thing to go is usually the hearing, and I now have a new teaching strategy for learner drivers! I watched the video three times over. To me, that was an exceptional piece of flying, risk management and decision making. A veritable Masterclass in fact. So thank you to Mark for sharing that experience and evaluation. 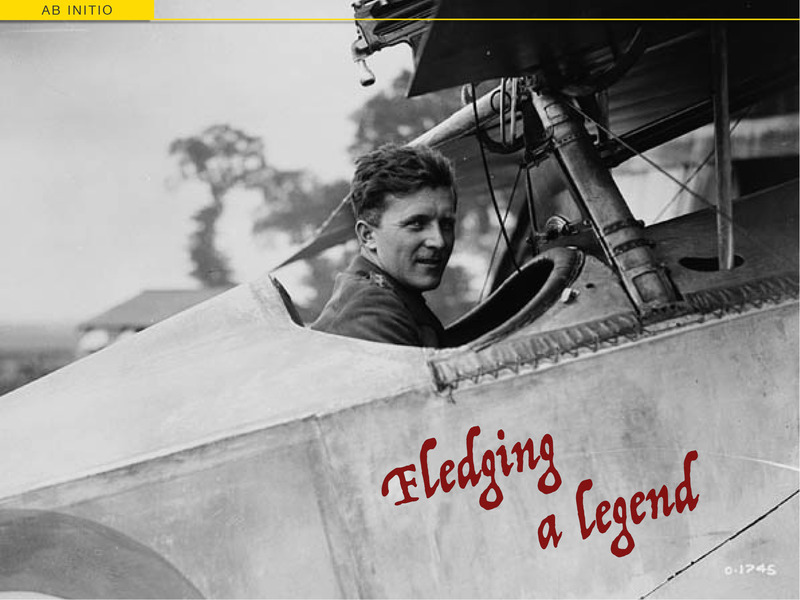 He is undoubtedly a superb pilot and a master of his craft. Thank you to you, David; for sharing that video here with us too. It certainly was a valuable education for me! You are quite correct when you say that EVERYONE ought to watch it. I think everyone could learn something from it. Thanks M itch. Everyone who drives or rides operates a high risk piece of equipment in a high risk environment, usually without ever thinking about it. In fact, virtually anybody could find themselves dealing with an emergency (their own or someone else’s) where these insights could be every bit as valuable as basic first aid. I think your comment hits the nail on the head. Mitch. I can vouch for the loss of hearing bit; before Vietnam postings, we all had to undergo a ‘Battle Innoculation Course’ at Canungra. Part of it involved crossing open ground under MG fire and simulated artillery/mortar attack. After getting to the other side I thought back over the experience and realized that I had (consciously) heard none of the racket; just staying alive had crowded it out. fully appreciate the phenomenon, till now. One sees it sometimes when sitting in on a student’s test. They get so adrenalized that the Examiner’s directions seemably go in one ear and out the other. Or they suddenly cannot follow a Sat Nav, despite the lessons we’ve done! It is the old chestnut of “test nerves” of course, but sometimes that fear of failure on the test, or the simple fear of doing it wrong and crashing the car on a lesson, (as if I’d ever let it get THAT far!) means that they have become task saturated and need to draw back. They need to take that 3 seconds to formulate a plan but they have no idea how to! Hopefully now, I can better help them to overcome that. I’ve seen that footage, and the interview, before. Richard McSpadden was the leader of the USAF Thunderbirds, so you’re looking at a couple of bona fide experts on flight safety there. I always appreciate those who’ve been in perilous situations taking the time to share the benefit of their experience. It can’t help but make all of us better pilots. Yes, their sharing amplifies the lessons learned and their benefits immeasurably. Even though we never want to be in a similar situation, we want to feel we can handle it if we are. 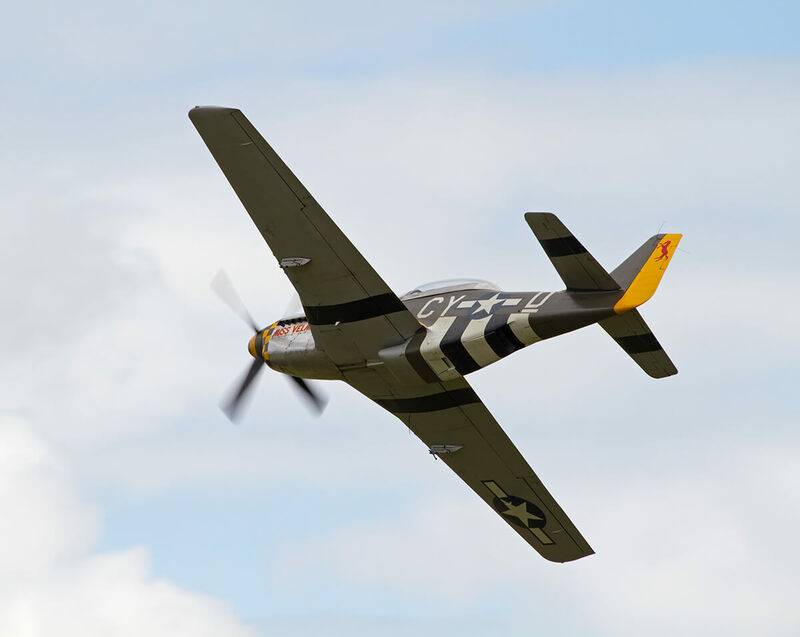 Good read attached about a P-51 engine out emergency landing at a 2017 air show. Pilot has 21,000 hours….